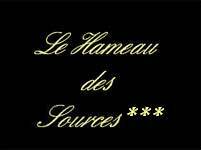 Welcome to the Hameau des Sources***’ website. A residence of 107 apartments located at the foot of Montbrun les Bains (Drôme), village chosen as one of the hundred most beautiful villages in France. With its 430 inhabitants, it offers everything you need : restaurants, shops, supermarket, tourist office, cafes. From the residence, you can walk to the center of the village (300 m) and visit the baths with the possibility of a health treatment or fitness (200 m).. Between the mountains at the foot of Mont Ventoux, the village is particularly suitable for cycling enthusiasts and the residence is wide enough to welcome groups of amateurs, professionals or individuals. Montbrun les Bains is the only spa place in the Drôme and Vaucluse (a blessing after a day of sport). Your stay in a fully furnished apartment ranging from studios of 22m ² for 2 people at the apartment of 34m ² to 44m ² for 4 or 6 people gives access to the private pool, private parking and many possibilities including: the weekly markets with a variety of fields of lavender, local produces and many sporting activities such as walking, cycling, horse riding, mountaineering, canyoning and paragliding. Moreover, at a distance of about an hour away, discover many beautiful cities such as Avignon, Carpentras, Orange, Apt, Nyons, with all their original character. Along the way, you can visit one of the many vineyards and enjoy the “Côtes du Mont Ventoux” and other wines of the region. In addition, the residence offers the possibility of a wide range of services such as breakfast service, meal service by restaurants in the village, maid service during your stay, laundry facilities, focus groups.